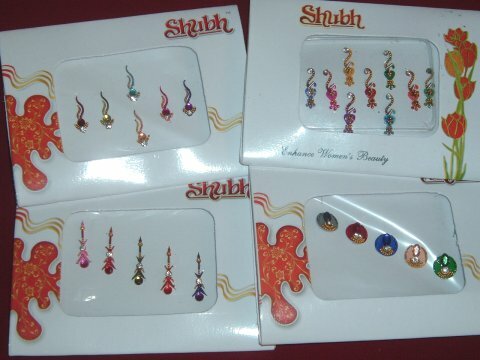 Set of 4 packs of bindis in assorted color & design. Each pack contains bindis of different designs and color and are crafted with stone and bead work. Note: The actual bindi designs may be different from the picture.